1. 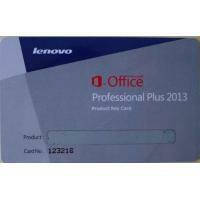 Lenovo card with original official office professional plus 2013 fpp code, use the key code you can download software from office web, and activate update online. 2. Use and package all same with official, but price half of genuine Lenovo card, get this product on business you will have more profit. 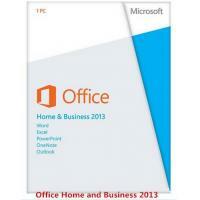 Office 2013 professional Lenovo Product Key Card, only an original fpp key code and official download link on the card, software is intended to be purchased with a new PC and is not intended to upgrade an existing version of Office. 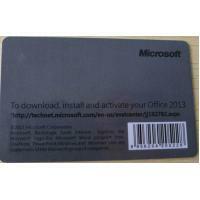 The Product Key Card entitles customers to one install on a single PC and cannot be transferred to another PC. This product includes both 32- and 64-bit versions for a single computer. Microsoft recommends the 32-bit version, which runs great on both 32- and 64-bit versions of Windows. People who use very large documents that need more than 2 GB of memory may want to run the 64-bit version, but many common add-ins for Office don't run correctly in the 64-bit version. Using Product Key Card Software: Boxed software customers- locate your product key in your Office 2013 Product Key Card Package. Digital software customers- after successfully downloading Office access your key in your Amazon.com game and software library. Next, check to see if Office is preloaded on your PC in the Windows start menu under all programs. 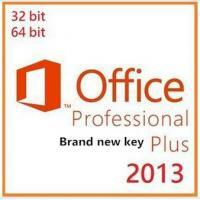 If your PC is preloaded with Office simply activate it using your key. 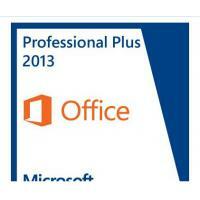 If your PC is not preloaded with Office 2013 follow download instructions and use your product key to activate.